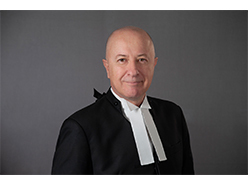 Foley's List Members and Staff congratulate George Georgiou S.C. on his appointment today as a judge of the County Court of Victoria. Foley's Clerks and presenters Caroline Kenny QC, Elizabeth Ruddle, Ian Munt, Marcus Clarke QC, Benjamin J. Murphy, Liam Magowan, David O'Brien and Sarah Varney thank practitioners for supporting our Commercial Law seminars this morning. The videos of our annual crimimal law CPD series are now available to view online. 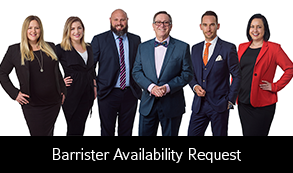 Plea making for Summary and Indictable Offences; Submissions on Sentencing; Ethics for the Criminal Lawyer; Confiscation; Recent Decisions of the Court of Appeal. Foley's List is pleased to support the Gender Equitable Briefing Policy adopted by the Victorian Bar and the Law Council of Australia. Foley’s List is an independent group of over 300 barristers servicing the legal fraternity in all areas of practice. Foley’s barristers own and operate the List. Well respected and with a long tradition of service excellence, Foley’s List is Australia’s leading barristers’ group.